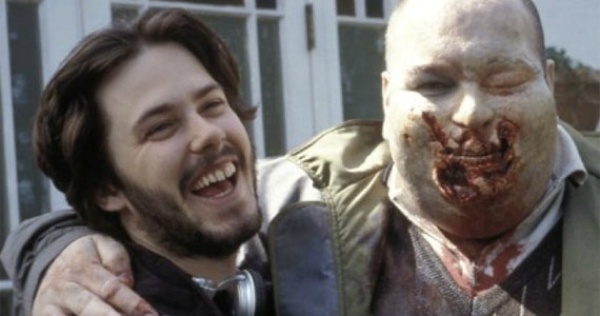 HULK AND THE CINEMA OF EDGAR WRIGHT – A HISTORY – FILM CRIT HULK! HULK BLOG! HULK AND THE CINEMA OF EDGAR WRIGHT HAVE A DECADE LONG RELATIONSHIP. CRITICS ARE SUPPOSED TO BE IMPARTIAL, BUT SOMETIMES THESE HISTORIES MATTER. “THUS, THESE FILMS ARE SEAMLESS CREATIONS, FUNDAMENTALLY CONCERNED WITH BASIC HUMAN TRUTHS, BUT ALSO SERVING AS EVOLUTIONS AND COMMENTARIES UPON THEIR RESPECTIVE GENRES… AND THEY PULL IT OFF NO MATTER HOW MUCH RANGE THOSE GENRES MAY HAVE. When will Hulk give us a comprehensive Storytelling 101 post? Teach me, Hulk! Excellent article! I lose so much time to your writings, but I gain a lot from an intellectual standpoint. Have you written at length about Scott Pilgrim before? My main criticism is the rapid pace… It’s very energetic, but I’d rather stop and get to know the characters more, etc. (much like the books). Just because you *can* squeeze so much into one movie doesn’t mean you should. Besides that, how about Envy Adams? She just sort of disappears, her storyline never to be resolved… Which is a shame since the parts she’s in (including her song) are so great.